Picture yourself sitting outdoors in a beautifully landscaped yard. You may be reading or enjoying your favorite beverage, feet up, relaxed. Will the neighbors stop by later for a backyard barbecue? Or is your favorite garden spot where you enjoy the peace and quiet of a new day. Listen to your surroundings. Do you hear the birds? Retired Naturalist Jack McRae wants to help us create a habitat for the birds. 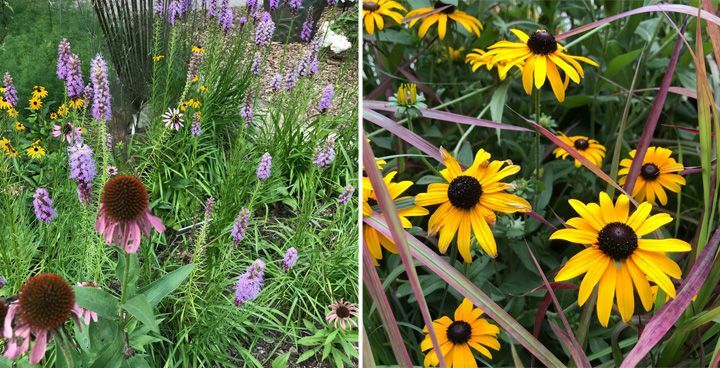 His talk this Saturday, August 4th at 1 pm will entertain and inform on what makes gardens special to attract and encounter birds in a backyard on a regular basis. The right habitat provides food, water, shelter, and space. To draw the birds to your yard, you must think about the food chain. A nice canopy tree provides shelter and food for the birds. “In spring, migrant birds are eating insects that are eating the emerging leaves,” says Jack. 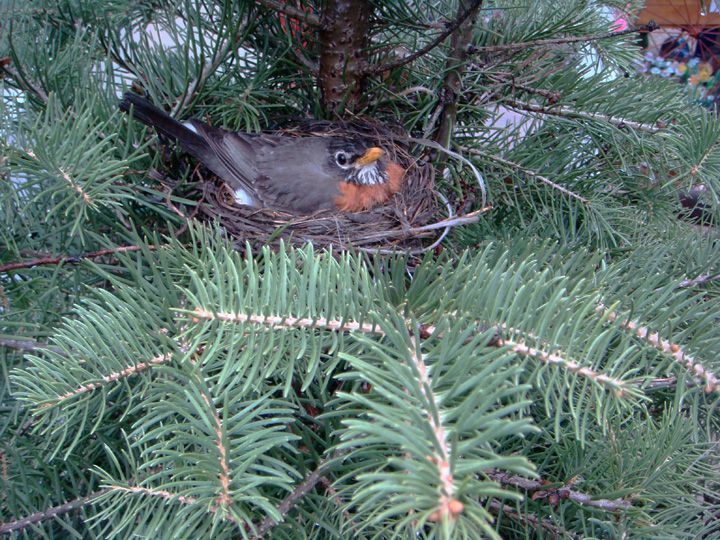 Robin nest in a tree. A native Red Oak (Quercus rubra) has a fast growth rate and produces great fall color. Other native trees to consider in your landscape design for birdwatching are the Dogwood (Cornus), Tuliptree (Liriodendron), Birch (Betula), Crabapple (Malus) and the American Hornbeam (Carpinus caroliniana). Virginia Creeper (Parthenocissus) is a vigorous vine with red leaves and bluish-black fruit. It gives a nice vertical interest to a garden trellis or brick wall and is an excellent food source for birds. 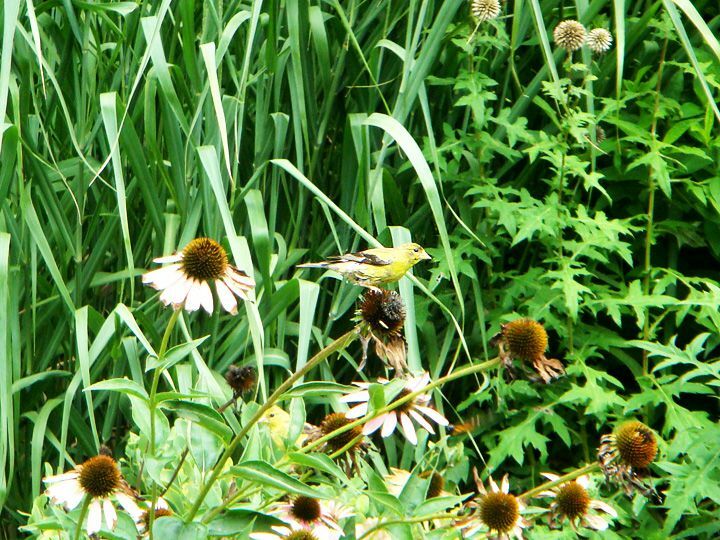 Finches are spotted near perennials Brown-eyed Susan (Rudbeckia), Coneflower (Echinacea) and Yarrow (Achillea). Hummingbirds flit about the fragrant Bee Balm (Monarda) and Milkweed (Asclepias). Birds will search for water when it is dry. If you want to attract them to your yard, give them a water source in your yard. Birdbaths and koi ponds are terrific additions. Make sure the water source is maintained to not attract mosquitos.